„Education and a knowledge of history connected with humanity and an ordinary capacity for compassion will perhaps enable us to identify the seeds of old-new dangers and to confine the demons of hatred and evil before they overpower us again." Educational activities about the Shoah began at the Terezin Memorial in the period prior to the Velvet Revolution. An Education department was established in 1993. Over time a range of age and knowledge-level appropriate programmes were developed. 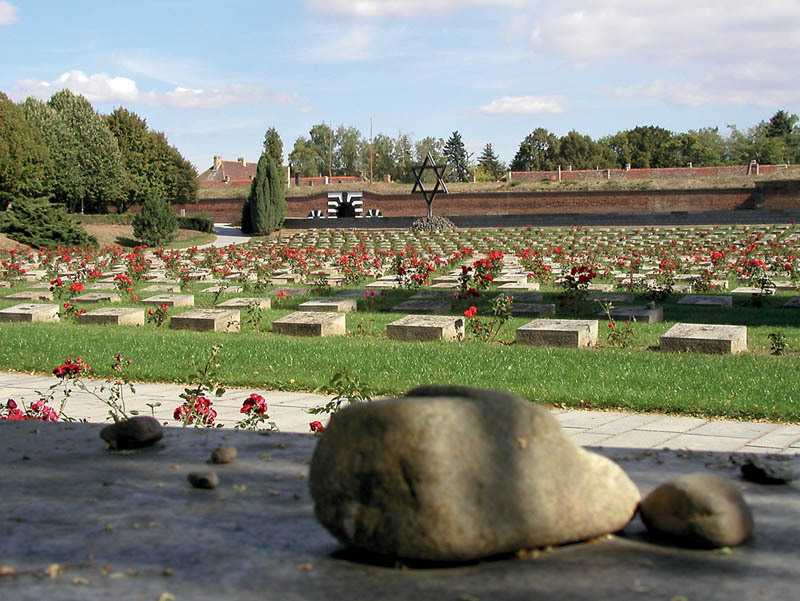 The Educational Department of Terezín Memorial (ED) has developed special programmes that concentrate on the most tragic period between 1939 and 1945, the complexity of which is variable depending on the age group, level of education and length of stay of the visitor. The number of ED members and collaborators has increased substantially, and the range of programmes and events offered has also broadened. In 1997 a Meeting Centre was opened in the reconstructed Magdeburg Barracks. This featured new study and assembly spaces and accommodation for 44 people. This is vital to the effective organisation of seminars, educational stays and research support for young people and teachers from both the Czech Republic and abroad. In 2008 Terezín Memorial acquired a new fully equipped facility with 21 computers for interactive education measures. 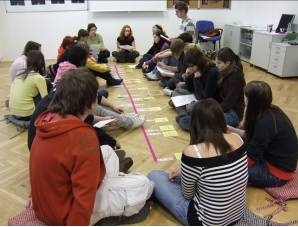 The underlying concept behind the work of the ED remains the same: to make clear to young people the malignancy and results of racism, but also to teach them to understand that themes of interpersonal relationships, tolerance and human dignity in the context of racial equality can never be sidelined. The activities have been prepared in close co-operation with the Ministry of Education, Youth and Sports and supported by the Ministry of Culture and Ministry of Foreign Affairs. 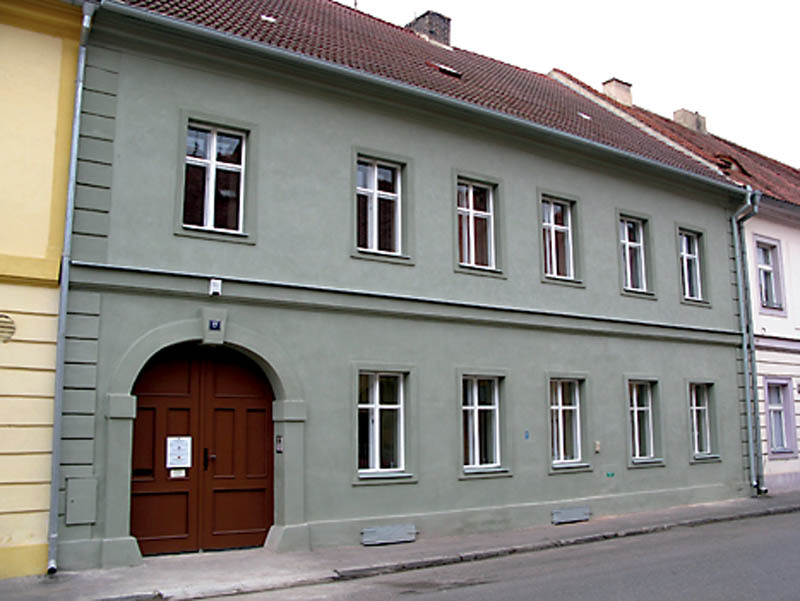 Besides the Memorial, The Educational and Cultural Centre of the Jewish Museum in Prague has been a part of such activities (ie: through project Lost Neighbors). 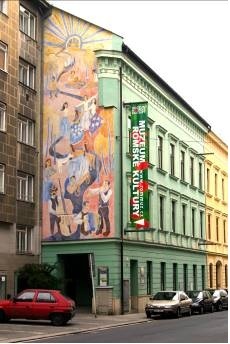 In 1991 the Brno-based Museum of Romani Culture (MRC) was founded as a non-governmental and non-profit organisation. Its aim is to provide expert collection of records and documents being of principal relevance for the Roma minority. Since 2005 MRC has been operating as a public beneficial organisation under the auspices of the Ministry of Culture. The information gained through working with ITF helped in the preparation of a new, more wide-ranging project for the further education of Czech teachers. Seminars began to be held under the title of "How to Teach the Holocaust", employing the talents of staff of the Terezín Memorial, the Jewish Museum in Prague and the Museum of Romani Culture in Brno. The main approach is to encourage the creative spirit of individual teachers. The Ministry has issued the Framework Curriculum for Basic Education. Based on this, schools develop their own documents. The topic of the Holocaust is part of the subject area Man and Society. This subject area aims to provide pupils with the knowledge and skills necessary for their active involvement in society. An important part is prevention of racial, xenophobic and extremist attitudes. The existing curricular documents for various types of secondary education have been developed on the basis of the Standard of Secondary Technical and Vocational Education and the Standard of Education in secondary schools. Standards focus on understanding the negative effects of racial, national and religious prejudices and intolerance, and on recognising their consequences and associated dangers. Since 1993 the Terezín Memorial has been devoting itself to educational programmes for elementary school pupils and secondary school students. Every year the ED organises approximately 100 one-day and 40 longer seminars for Czech schools, complete with visits to exhibitions, lectures, debates with Holocaust survivors, workshops and independent creative activities. In 2009, foreign students came to attend 22 one-day and 29 longer seminars. ITF co-operation laid the foundations for a long-term system of teacher training on the Holocaust. This system comprises several stages. The first is the aforementioned three day seminar on "How to Teach the Holocaust". Having completed this seminar, teachers are able to attend the annual, four-day international seminar on "The Holocaust in Education". The third stage seminars are organised in collaboration with partners abroad at the Auschwitz and Ravensbrück Memorials. The programme culminates in a final fourth stage - a ten day seminar at Yad Vashem. Over 1500 teachers from various types of schools across the Czech Republic have attended seminars as part of this programme. The Education and Culture Centre of the Jewish Museum in Prague (ECC) was established in 1996, in the year of the museum's 90th anniversary. The ECC´s main task is not only to educate the youth. It provides also wide public with necessary information about the Jewish history, culture and tradition and presents life and past of the Prague Jewish community in all its features and diversity. The ECC offers wide scale of lectures and interactive workshops for schools, pupils and students. The Centre's further focus is on programs for teachers. To realise its goals, the ECC cooperates with the Ministry of Education, Youth and Sports and received the status of an authorised teacher training institution. The ECC organises for teachers semi-annually 4-day seminars "Jews - History and Culture". The programme is divided into two 2-day blocks. One of the blocks deals with Jewish life, culture and tradition, and Ancient and Medieval History of the Jews. The second block is focused on the Shoah, including its post-war implications, anti-Semitism and the State of Israel. Lectures held by scholars are faded into workshops where the students are provided with materials as traditional Jewish religion items (mezuzah, Chanukiah, Torah). The seminar participants can visit the museum's expositions, synagogues holding historical exhibitions or the Old Jewish Cemetery in Prague. Almost one hundred of history and civics teachers are trained annually at the ECC. Similar courses for teachers are organized within the framework of the project "Don't Loose Faith in the Mankind... The Protectorate thought the eyes of the Jewish Children". The project consists of travelling exhibition. Teacher and student trainings are organised in the same places where the exhibition is realised. In 2007 a successful co-operation between the ECC and the International Christian Embassy Jerusalem (ICEJ) has been launched. The partnership is based on lector training for ICEJ members. After being trained by the ECC, the ICEJ volunteers can work within their local communities and make use of the knowledge gained in the field of Jewish religion and culture, the Shoa and anti-Semitism, including its history. The teacher trainings activities have been supported besides the ITF also by the Foundation of Holocaust Victims and by the Ministry of Education, Youth and Sports. The MRC´s departments on education and history provide both students both wide public with lectures on Roma history, culture and traditions and on the Roma genocide. The latter cover history of the Roma genocide, including screening of the documentary film „These are the painful memories" and a successive discussion. During the lecture each student can see prominent contemporary documents as newspaper articles, official papers, legal edicts and regulations, personal letters or photographs. The documentary has been realised also thanks to financial support of the Czech-German Fund for the Future, the Foundation for Holocaust Victims and the Open Society Fund Prague. The MRC´s department on education has developed special programmes that concentrate on the most tragic period between 1939 and 1945. Every year about 1500 pupils and students participate on lectures and interactive workshops conceived to help different target groups (e.g. age, level of education) understand the issue. In 2009 it has received status of an authorised teacher training institution. Every year in March the museum holds a week-long programme for pupils and high school students within the framework of the European-wide Action Week Against Racism. The programme focuses on the Roma genocide and related issues as human rights, racism, discrimination or society's attitude towards minorities. 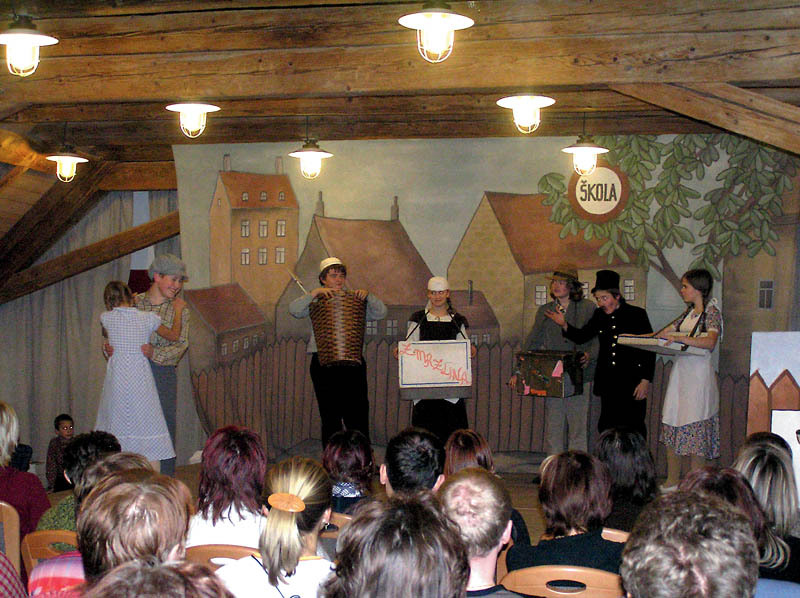 The MRC co-operates closely with the public beneficial organisation Živá paměť (Living Memory). The mission of the Living memory is to attend to the common memory heritage of persons persecuted by totalitarian regimes, especially the victims of Nazism. It focuses inter alia on educational and awareness-raising activities. During the lecture series Disappeared Roma and Roma Today in the Czech Republic, the associates of Living memory have been visiting primary and secondary schools. Since 2005 two thousand pupils and students attended the discussions with the witnesses of the Roma Holocaust and experts on Roma issues. The project could not have been implemented without the support of the „Remembrance and Future" Fund. The MRC participates in the working group on Roma genocide established as an advisory body by the Ministry for Human Rights. 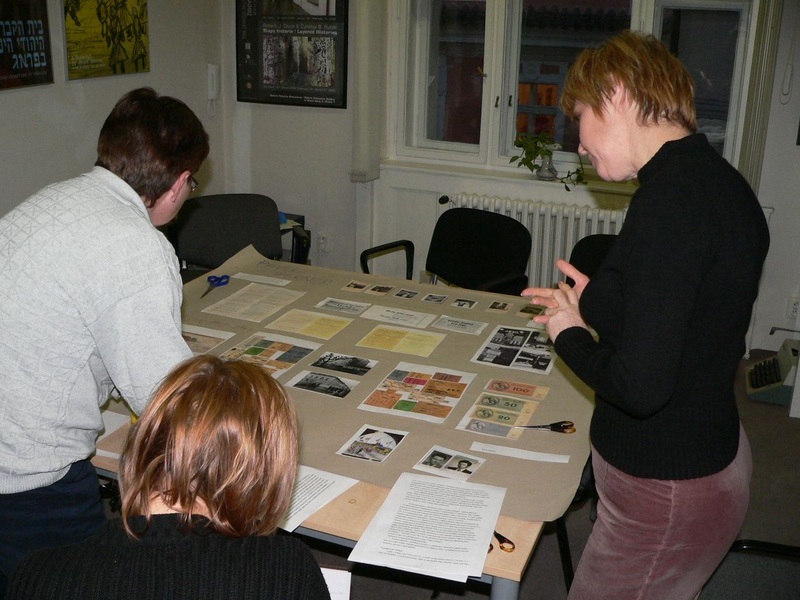 The working group collects and submits information, groundwork documents and proposals regarding former concentration camps in Lety and Hodonín, main places of the Roma genocide in the Czech Republic. 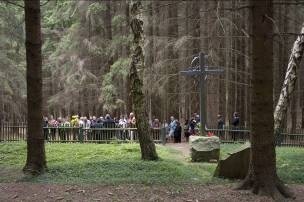 In May 2009 the Lety Memorial was established in the area of former concentration camp as a place of commemoration. The MRC intends also to establish a memorial together with an international education and information centre on the Roma genocide in Hodonín in near future. The Memorial should house both temporary expositions both exhibition hall containing permanent display about the history of the camp and the history of the Roma genocide in general. The latter should be placed in original camp wooden barracks. The Memorial should further extend its current memorial sites (existing since 1997) and open to public former burying place, including mass graves near the area. 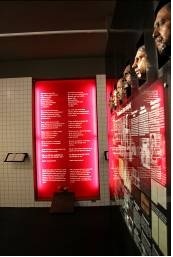 The education and information centre's focus should be on teaching, in particular on the Roma genocide. Other topics should be aimed at Roma history and culture, including current human rights issues. The MRC education programmes should be intended primarily for elementary and high school students. Conferences, seminars and workshops should be attended by scholars and selected target groups within the Roma community (e.g. writers, artists, educators or officers). Each year the Memorial (in co-operation with the Federation of Jewish Communities and the Terezín Initiative - international association of former prisoners of Terezín Ghetto and other concentration camps) organises many events, including a gathering on the day of remembrance for the victims of the Holocaust and Nazi persecution (Yom Hashoah, Ceremony to remember the final execution of prisoners from the Small Fortress, The Terezín Commemoration, commemoration Kever Avot and many individual acts of remembrance). All the permanent exhibition and also collection activities of the Terezín Memorial are focused on remembrance of the World War Two victims. Since the Czech Republic became a member of the ITF's new permanent exhibition in Auschwitz, as well as the Prayer Room from the time of the Ghetto, have been opened to the public. During the last ten years publication activity of the Terezín Memorial increased. To remember the World War Two victims Memorial published 65 books, CDs and DVDs (Catalogues, Memorial Papers, Textbook Holocaust, Culture Against Death, Terezín in the "Final Solution of the Jewish Question" 1941 - 1945, documentary ‘A town marked by a tragedy'). The MRC commemorates every year the International Holocaust Memorial Day (27 January), first transports of the Roma from Brno to Auschwitz-Birkenau in 1943 (on 7 March) and first mass transports of the Roma prisoners from the concentration camp in Hodonín to Auschwitz-Birkenau in the same year (on 21 August). In 2005 the MRC completed and opened to public a permanent exhibition covering culture and history of the Roma since their origins in India till today. Two year later the MRC opened also a showroom dedicated to the Roma genocide. Here visitors can find documents related to the extermination of the Roma population, data and accounts of live-stories of "gypsy camps" and of the concentration camp in Auschwitz-Birkenau. The exhibition presents also a reminder of the fate of Roma in Slovakia and of Romani participation in the resistance movement. Part of the exhibition is devoted to the Nazi pseudo-scientific racial studies on the Romani people. The testimonies of the witnesses are available as video recordings. The visitor has also an opportunity to see how the Nazi genocide was reflected in the works of Romani artists. 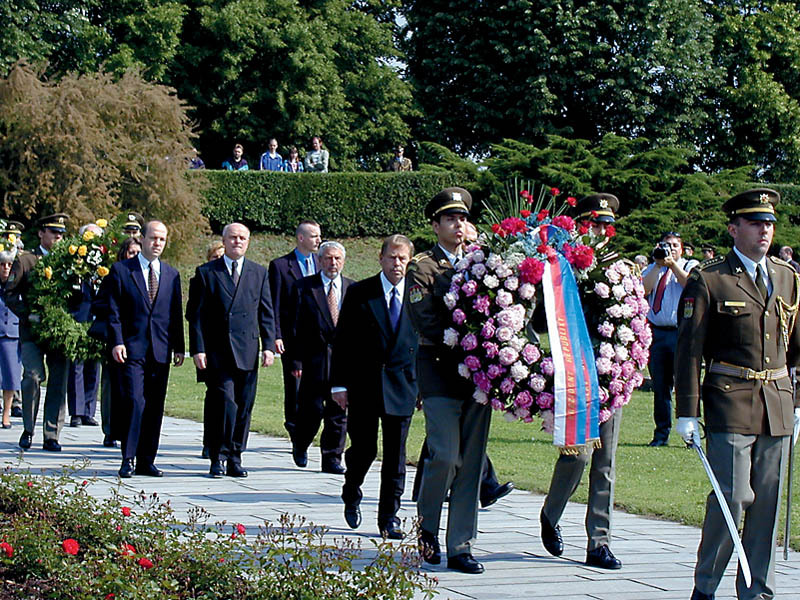 The MRC´s section on the Roma genocide was supported by the ITF. This kind of activity continues to be provided by the Department of History which will keep focusing its historical research on the repressive facilities in Terezín and Litomerice during the Nazi occupation. This will encompass systematic research in domestic and foreign archives, while fostering contacts with Czech and foreign institutions and individuals studying these issues. Elaboration of registration sheets listing the Jewish inhabitants in the former Protectorate of Bohemia and Moravia. Collection of documents obtained from all the state district archives in the Czech Republic on the Jewish population deported to the Terezín Ghetto between 1941 and 1945. Collection of materials on the fate of German Jews from the border regions annexed by Hitler Germany imprisoned in the Terezín Ghetto. History of the Gestapo Police Prison in the Small Fortress. will sit on the graves' corners, only a patch of grass, a bitter weed before May bears some flowers..."
The Holocaust Department was established in the former State Jewish Museum on October 1, 1969 under the name Documentation Centre. Two archive collections were created: "Terezín" that includes various written documents that are associated to the Terezin Ghetto; and "The Documents of Persecution" that includes documents related to racial persecution under the so-called Protectorate of Bohemia and Moravia. Today, comprehensive digitization of these collections is among the top priorities of the Department. The Department also maintains an extensive collection of photographs. Memories of Holocaust Witnesses, a collection that has been developed and continually updated since 1990, has been in recent years frequently visited by researchers. It holds a total of 1090 recordings. Anonymised memories of witnesses are published in cooperation with the Terezin Initiative Institute (seewww.holocaust.cz). Transcriptions of their accounts are currently being transferred into a new structured format that will enable better search and display options based on a wide range of filters. The MRC´s collections contain materials concerning the Roma genocide: historical documents (e.g. edicts, laws, letters, official papers or written testimonies), copies of the documents from Czech and Slovak archives, photographs, video and audio documents, movies and testimonies or pictures and paintings from survivors. Over the last years the museum has been assisting Roma survivors in compensation trials with providing body of evidence (e.g. recording of the testimonies). In co-operation with the Ministry of Interior the MRC has been assisting the survivors to settle their restitution demands or providing expert opinions for their applications making use of its video and audio documentation. Since its establishment the MRC's department of history has been documenting and researching the Roma genocide, especially on the territory of the former Czechoslovakia. 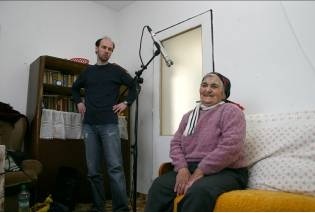 So far the museum has collected about 200 hours of video and about 300 hours of audio testimonies of the Romani survivors.